Justin Bieber Introduces New Baby Sister With Sweet Instagram. A new Bieber has been born. Justin Bieber’s half-sister, Bay Bieber, was born at 8:30 a.m. to Justin’s father, Jeremy Bieber, and his wife of six months, Chelsey Bieber. The proud papa confirmed the birth of his first child with Chelsey via an Instagram, seemingly snapped just minutes after she entered the world. “We welcomed a healthy baby ‘Bay Bieber’ born at 830 am,” Jeremy wrote. This is the second child for Chelsey, who shares 11-year-old daughter Allie with an ex; Jeremy has three children already, including 8-year-old Jaxon, 10-year-old Jazymn, and 24-year-old Justin. The “No Brainer” singer was present for the big day, and took the opportunity to snap a close-up of his just hours-old sister. 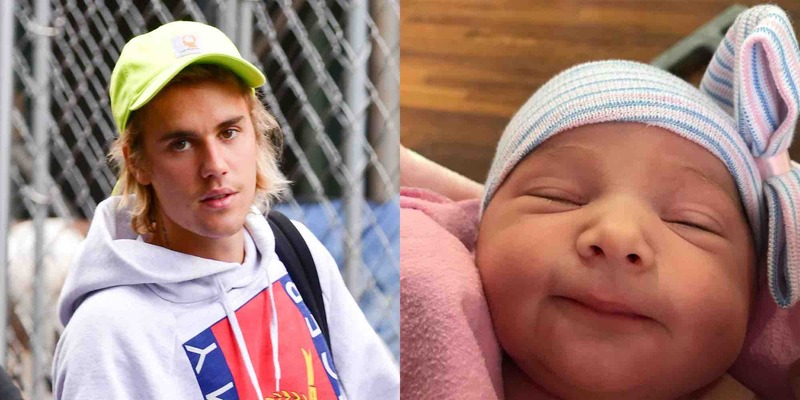 “Meet the newest Bieber, my little sister BAY BIEBER,” he captioned the Instagram of the sweet-faced newborn wearing a pink-and-blue-striped cap with a bow. We have no doubt Bay will be the best little Belieber (try to say that three times fast)! The photo already has more than a million likes, as well as thousands of supportive comments wishing the three-time big brother and his family congratulations on their latest addition.